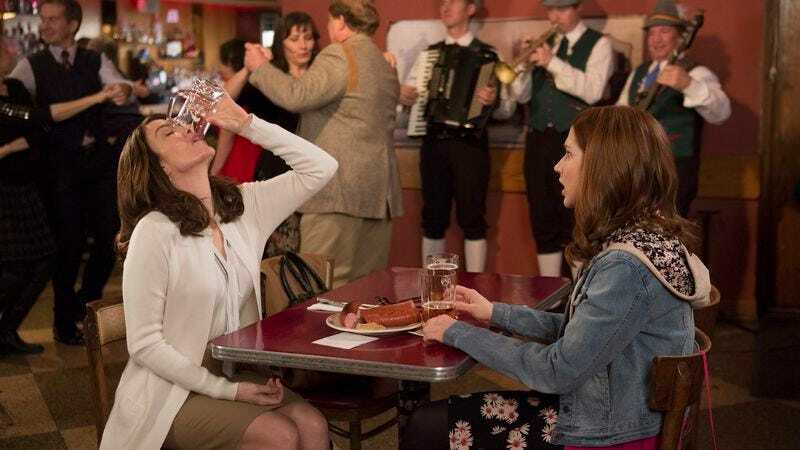 Season two of Unbreakable Kimmy Schmidt will premiere on Netflix on April 15, and as fun as it would be to spend the whole run with Ellie Kemper’s Kimmy and Tituss Burgess’ Titus Andromedon, the usual gang will be joined by a handful of new guest stars (and a returning guest star playing a different character) for this new batch of episodes. The newbies include Fred Armisen, Anna Camp, Amy Sedaris, Zosia Mamet, Evan Jonigkeit (Mamet’s real-life boyfriend), Jeff Goldblum, and David Cross, with all of them probably playing people looking to take advantage of Kimmy’s naiveté, Titus’ kind-hearted desperation, or one of the other characters’ lovable faults. The returning guest star is co-creator Tina Fey, who will be playing a therapist this time instead of her hapless attorney character from season one. You can see images of these guest stars below, along with Yuko the robot for some reason.